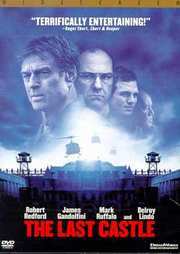 Explosive star power meets spectacular action when Academy-Award® winner Robert Redford (Spy Game) goes up against a ruthless prison warden (Emmy winner James Gandolfini) in this powerhouse action thriller. His service to his country made him a hero. One mistake made him a prisoner. 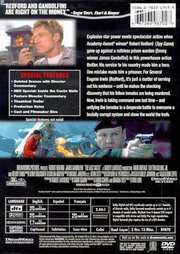 For General Eugene Irwin (Redford), it`s just a matter of serving out his sentence - until he makes the shocking discovery that his fellow inmates are being murdered. Now, Irwin is taking command one last time - and unifying the inmates in a desperate battle to overcome a brutally corrupt system and show the world the truth. An R rated prison drama/thriller, that should`ve got a PG rating instead. Life in prison never looked to serene. Come on, where`s the violence, the bad language and all the rest? The lack of these elements make this movie a bit laughable. But only a bit. The video transfer is good. There are no compression signs and the colors are nicely desaturated and fit the prison`s atmosphere. The DTS and DD 5.1 soundtracks are good. The surrounds are nicely used and the sound envelope is good. The menus are animated with sound. The extras include a commentary, a behind the scenes look, 9 deleted scenes and some production notes. Bottom line - an ok movie, but only if you don`t take it too seriously. For a better look at prison life, you might want to check "Oz" out.